Every aspirant starts the preparation with immense enthusiasm and a sense of purpose. But the sad part of this journey is that only a few are able to accomplish their dream. It is not due to lack of capability, everyone who is courageous enough to take the decision of giving a shot at IAS examination is capable enough to crack this examination. But not everyone follows the right path leading to success which makes the IAS exam preparation a mountain too high to climb. Aspirants start thinking about IAS Coaching in Delhi or Best online coaching for IAS or self-study. Yes, such search is not bad; according to one’s situation, one should make the decision. 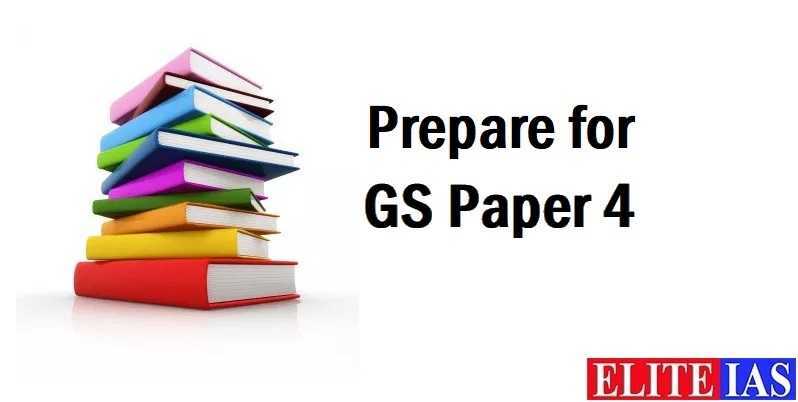 Once having decided to jump into the IAS preparation, a common mistake often committed by most of the unsuccessful candidates is that they think that the IAS exam syllabus is so vast that they should start reading everything under the sun. And then begins the collection of books, materials and study room becomes a mini library. Multiple books are bought for a single topic and separate book for most of the topics in the UPSC syllabus. This ensures that the aspirant is crushed under the pile of books. There is a limit to what a normal person can read and memorize within a limited time. Civil Services Exam preparation is not about how many different books you have studied, how many different sources one reads for every topic. Neither this exam is about doing research on every topic and becoming an expert on the subject. UPSC is not looking to recruit the professors and research scholars through this exam but civil servants. This needs to be made very clear what is the demand of the examination. Then only you will truly appreciate the nature of this examination. Unless you get to understand the essence of the exam, it is very difficult to perform well. 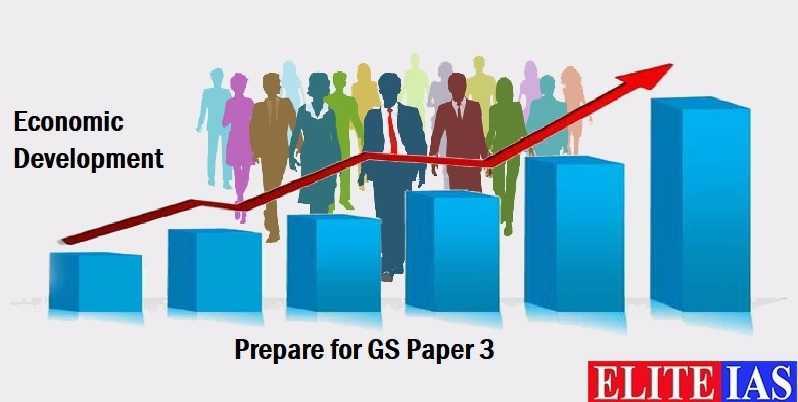 Those getting selected in early attempts are not the ones who have been preparing for years but they get to understand the demand of the examination quite early and accordingly build up their preparation strategy or prepare for IAS Exam. By demand of the examination, I mean that what is expected of you as an aspirant. what the question expects you to answer in each of them. If the syllabus contains so many topics what is the rationale behind them and how they are relevant for civil services. Why UPSC expects the aspirants to study art & culture, geography, history, polity, economics, internal security, environment, ethics etc. altogether? Strictly speaking, they are looking for a civil servant through this exam who is well versed in almost all aspects under the sun. He must have a fair idea of different subjects so as to take a holistic decision considering all the factors at play. He should be able to think from a multidimensional perspective in an innovative way to take the best decision possible in the interest of society and nation. The bottom line is that a civil servant is an agent of change and this change is initiated through the decisions taken. And the decision must not be based on the personal bias, backgrounds, prejudices of any other stereotype but it should be based on rationale. Thus, this examination expects you to become a decision maker, who is quick and responsive, sensitive and empathetic, sincere and efficient, disciplined and hard working. To take the right decisions, knowledge is imperative. Thus, the need arises to study various subjects to diversify our thought process and enrich with learning which slows down the seed for quality & quick thinking leading us to the best decision possible in public interest. I would like to caution the aspirants now that they should not seek infinite knowledge for this exam. There is a limited time for preparation, so the number of UPSC books should also be restricted. Anything and everything in the market cannot be read for that is humanly impossible. Now, we shall see the books and study materials to be read for each topic of the UPSC syllabus. I am not addressing books for prelims and mains separately, because there is no such thing as separate preparation for prelims and mains while you prepare for UPSC Exam. Both need to be prepared in an integrated manner. Just that prelim expects the students to memorize certain facts which mains may not, as generally it will test opinion and analyzing skills of students. But wherever possible and required, I will mention certain books for prelims separately. This topic is quite a tricky one to prepare. As there is no definite trend for questions asked and given the rich and glorious cultural & architectural history of India, questions may be literally asked from anywhere. You must be prepared to face any question. In the last few years, questions were generic in nature asking about trends such as art and culture in the Vijayanagara empire, Gupta Coin art, comparison of Indian civilization to others etc. You should be presenting a holistic picture with diverse aspects covered in the answers. While reading the books, you should try to understand the general trend of events, like how dances were in each state, how paintings changed in the 16-18th century, how puppetry evolved, how music changed over years. You should study the architectural development too from a comparative point of view like how Dravidian is different from Nagara and Vesara style. Going through previous years questions will give a good idea about how to go about the preparation. Following UPSC books may be followed for both Prelims and Mains. If you are a beginner then should start with India’s struggle with Independence by Bipin Chandra. This is a thick book, may take a lot of time. But this will give a good understanding of the freedom struggle. 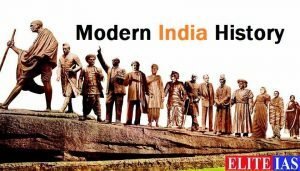 Thereafter, one should go through SPECTRUM – A brief history of Modern India. This will be very helpful for both prelims and mains. You may underline several facts in the book which should be revised for prelims. If you don’t have enough time for preparation then start directly with Spectrum book. One should always read history from an analytical bent of mind. Knowing facts is important but should also be able to analyze them well chronologically. Generally, questions asked from this section are very generic such as related to emergency, green revolution, operation Blue star, India Pakistan conflicts etc. You may not be required to go through a separate book for maximum 2-3 questions if you have a basic idea of India’s history post-independence. However, if you wish to go through any reference then India since Independence by Bipin Chandra may be preferred. You may also go through the Pradhanmantri TV series, which was aired on ABP news long time back. You must be aware that world history is not part of GS prelims UPSC syllabus. From GS mains point of view, NCERTs of world history should be sufficient. Special emphasis would be required to be given on topics mentioned in the syllabus such as events from 18th century such as Industrial revolution, American revolution, the spread of capitalism, World wars, Colonization, Decolonization, world wars etc. Personally speaking, you should restrict yourself while studying world history, as there is an ocean of knowledge which is not quite relevant from our exam point of view. One cannot afford to devote too much of time for few questions, and given the vastness of the subject, selectivity needs to be exercised in choosing several broad theme-based topics and preparing them very well. Rest, if questions asked are tough, one can try to frame an answer on some vaguely related ideas to the theme. You may go through Social Problems in India by Ram Ahuja if looking for a reference book to get an idea of the social issues in India. However, I am of the view that you may not require any specific book to address questions from this part related to social issues such as poverty, Caste system, female foeticide, population explosion, development-induced displacement, crime against women, urbanization and their problems, labour issues, informal sector, communalism, regionalism etc. Questions asked are very basic in nature and tests the understanding of Indian society. Prepare well with latest bills related to weaker sections, children, women and their advantages and disadvantages etc. Be through with constitutional provisions and their status related to these people. While addressing these questions think broadly. You should be able to cover issues related to family, religion, education, marriage, children, old age, women, tribes etc. One need not worry much about this part as this seems to be the easiest part in paper 1 syllabus. This is a very important book for geography from both prelims and mains point of view. This book provides coverage of fundamental concepts regarding the earth’s topology, weather and climate, different climatic regions, and vegetation across the planet. The book should be read selectively as per the UPSC syllabus as many chapters are not quite relevant for exam purpose. NCERT India’s Physical geography should be read selectively to supplement the above reading of G.C. Leong. NCERT Human Geography books should be read with importance to human geography, availability of minerals, factors responsible for location of primary, secondary, tertiary sector industries in various parts of the world and in India. Orient Blackswan Atlas: Make it a habit to go through the atlas to get an overview of the world geography emphasizing on the location of mountains, rivers, grasslands, lakes, oceans etc. Prepare some standard application based geographical questions such as climate and economy of the region, monsoon and its significance, delta formations, issues with disasters such as flooding, land sliding etc. In geography questions, you should use simple language and explanations. Mix your answers with diagrams, structures, flow charts, relevant examples, maps to illustrate your answer. If the question is about the earthquake, they may use India’s map to highlight the earthquake prone zones. Don’t worry too much about accuracy, scale and shape of diagrams. It will reduce the time, give more information and also catch the eye of the examiner. Laxmikanth Polity Book: A book which needs no introduction and one of the most popular and comprehensive book on the subject. Written in extreme lucid way that any layman can understand the basics of the constitution. This is a must-read book for civil services polity part. A very well-organized book, covers almost every topic and helps increase knowledge a lot. This book is sufficient for prelims. For mains polity part, current affairs holds the key as questions generally tests the application of concepts in the analysis of issues. Current Affairs: Aspirants must read at least one standard newspaper (The Hindu or Indian Express) apart from the monthly magazines of a best IAS coaching institute (ELITE IAS). Role of current affairs in prelims and mains both has been quite significant so one should be updated with the happenings around. One would be required to hold his opinions on issues such as Simultaneous elections, Removal of article 35’A’, special status demands, cooperative federalism etc. so as to analyse in a balanced way in the mains answer. Newspaper provides the experts opinion which may be used in mains answers. Point is that, a newspaper is going to be the backbone of your preparation. So, dare to ignore it at your own peril. Rajya Sabha TV Big Picture debates should be watched selectively on important issues which may be relevant from examination point of view. Debates on purely political matters such as 2019 election, political alliances or any non-significant issue should be best avoided. Government Schemes should be known to the aspirants as a question may be asked related to analysis or shortcomings of any scheme in mains. Prelims tests the factual details of the schemes, so underlying principles of important schemes such as objective, target beneficiary, entitlements, implementing authority etc. should be known. You may follow the budget, websites of ministries & departments, newspapers to know about the schemes. Fringe topics such as NGO, SHGs, groups and associations, Civil Society should be prepared from the internet or from the study materials provided by the coaching. You should try making your own handy notes related to these topics for the convenience of revision purpose. Budget and Economic Survey would be a good source to prepare for issues related to development and management of social sectors/services relating to health, education, human resource. General understanding developed during preparation would come handy for addressing such basic theme-based questions. Strictly speaking, there is no requirement to read any particular book for this topic as it is all dynamic and Newspaper and MEA website would be the best source to keep track of international happenings and our relation with the other countries of the world. Keep in mind that any international happening affecting India’s interest whether economically, politically, socially, culturally or in any manner is a potential source of the question. You should keep a bird’s eye view over the bilateral summits, regional grouping meetings involving India. Rajya Sabha TV (Big picture + India’s World) may be watched selectively to get insights of foreign policy making. This part requires you to have a basic understanding and general idea of Indian economy such as planning, 1991 reforms, growth, and development, inclusive growth, employment issues, agricultural problems, budgeting process, subsidies, food processing etc. While going through the UPSC syllabus, you will find that one need not be an economist to do well in this paper. You should prepare for each topic separately from the newspapers, internet, coaching materials. Try to think from a multidimensional perspective to diversify the content of answers. 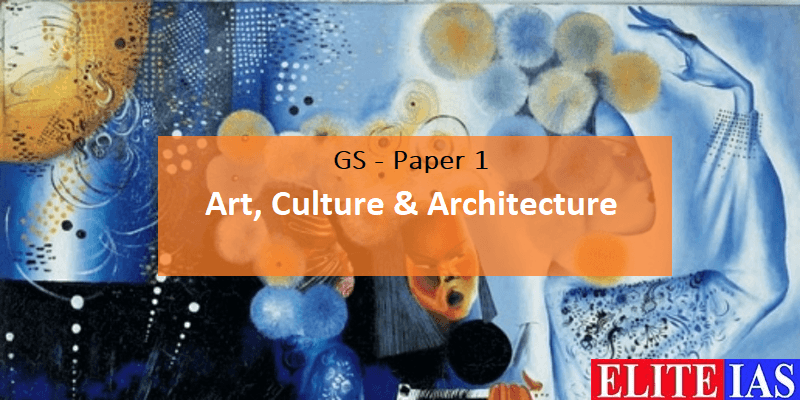 No specific book is required for this paper as questions asked are based on topics quite dynamic and current in nature. However, the Economic survey would be quite useful for building your knowledge base and will also give a lot of quality points to be written in answers. Related to agriculture related parts, apart from newspapers, Kurukshetra Magazine edition on agriculture may be followed for a deeper understanding of issues. This may suffice for this part. Newspapers are the best source to cover this part. One need not go too specific into the science related issues as the questions are generally not meant to test the deeper understanding of any problem. But the aspirant is expected to know the recent developments and their applications in day to day life. Basics of robotics, Nano technology, Bio technology, IT, Intellectual property, Space related development etc. should be known. As climate change looms large, environmental concern is only growing stronger. Aspirant is expected to know about environmental issues such as climate change, green-house emissions, pollution and environmental degradation, impact assessment, wildlife conservation and efforts taken, man-animal conflict, sustainable development etc. Aspirants should be sensitive to the environment and should have a balanced approach to development. Environment and development have to go together and your answers should reflect these concerns along with providing innovative suggestions to address the issue. Newspapers would suffice for this part. However, you might be reading Shankar IAS Environment Book for Prelims as it is quite popular in the market for environment and ecology, so the knowledge gained would indeed make the task easier for mains. Read More: What are the different fees structures charged by IAS coaching centers for the UPSC exams? This part needs no expertise but only general awareness about disasters such as Floods, Earthquake, Cyclones, Landslides, Tsunami, Stampede etc. Try to address any disaster from three sequential events, pre-disaster preparedness, during a disaster, post disaster actions. The focus should be on how to prevent the disaster, and then comes the role of post disaster actions such as Rescue, Relief, Rehabilitation, Reconstruction etc. Think if a disaster strikes in your place how you will deal with it. Write from a common man perspective how to save maximum lives, provide relief to maximum persons and help them overcome suffering. For reference, you may go through NDMA structure, National Disaster Management Plan 2016, PM 10 point agenda for Disaster Risk Reduction etc. Yojana Magazine comes up with the issue of Disaster Management as the theme which would provide quality information to be used in answers. You are expected to know about various security related challenges faced by India such as Naxalism, Insurgency, cyber threats, money laundering etc. The question would test basic understanding of issues such as how development is related to the spread of extremism. Such questions are asked generally. You should prepare for each topic mentioned in the syllabus and be updated with actions taken by the government to address the security issues. Any specific book may not be required, but if you want a reference material then you may go through the book named Challenges to Internal Security of India by Ashok Kumar IPS. This is one of those papers which requires the minimum of the efforts but fetching good marks. This paper based on Ethics, Integrity and Aptitude tests the very thought process of the individual. It’s about how you think, how you reach to a decision, how do you look at things, attitude and approach towards life. Basically, how good an individual is tested by the questions. This needs no specific preparation, expect that you should be through with the key words of the syllabus such as Ethics, Morality, Aptitude, Attitude, Compassion, Empathy, Probity, Emotional intelligence etc. from any standard book either LEXICON or Ethics, Integrity and Aptitude by G. Subba Rao. The paper expects you to develop an officer like qualities such as honesty, integrity, discipline, impartiality, objectivity, empathy etc which should be reflected in your answers. You should answer the questions from the core of your heart without any manipulation of thoughts, let your thoughts freely flow on the paper. Whatever comes naturally from within best describes the individual. Do not hold yourself and must express freely to the questions asked. Write what you feel about the question asked, give examples from real life, quote great persons like Mahatma Gandhi, Mandela, Vivekananda wherever relevant. 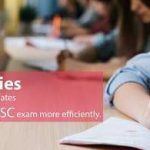 For Case Studies, you should go through ELITE IAS sample case studies and their answers provided to understand the approach towards it. Try to understand the case, and find out multiple options available and address their pros and cons one by one. A case study is really simple but you need to learn to organize your answer. Rest assured, you can do wonders in this paper with minimum efforts but with the right strategy. I would sum it up by saying that it does not matter how many books you have read but how you have read and whether you have understood whatever you have read. It’s important to stick to minimum books possible so that you do not get overburdened under a pile of books and instead allow yourself to freely apply your brain. Also, the books chosen to be read should be studied time and again instead of referring to new books every time. This will enable you to do exceedingly well in your preparation. Take your time to build your own unique strategy which will only sail through this journey. All the best. Arise, Awake, and Stop Not Till the Goal is Reached. – Swami Vivekananda.